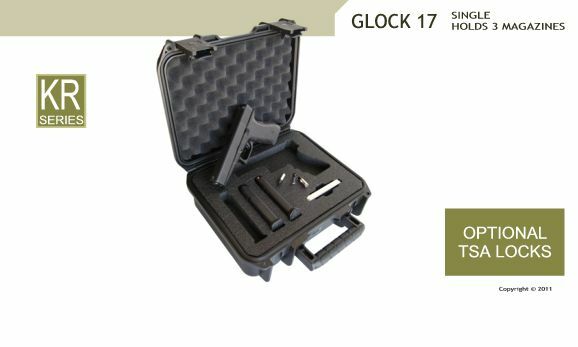 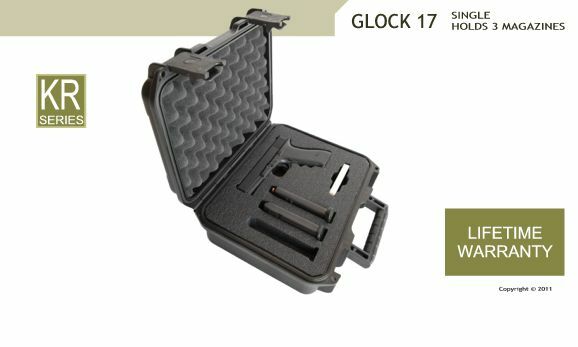 The Glock 17 gun case accommodates one handgun along with storage for up to three magazines. The case is ideal for storage or carrying because of its lightweight and durability, weighing in at 4 lbs. 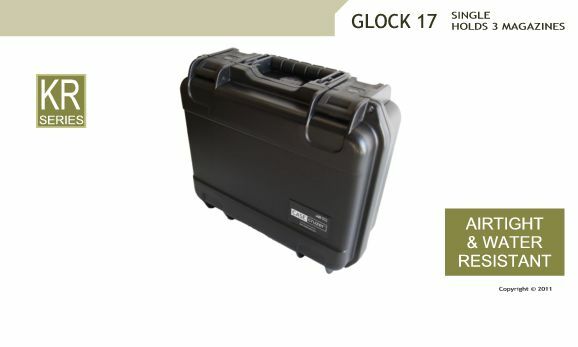 The exterior dimensions are: 14"L x 12"W x 6.25"H.
The case complies with MIL-STD-810F (resistant to UV, solvents, corrosion, fungus and impact damage), MIL-STD-C-4150J (waterproof), MIL-STD-648C (automatic ambient pressure equalization valve), IP67 (protection against dust and the effect of immersion between 15cm and 1m). 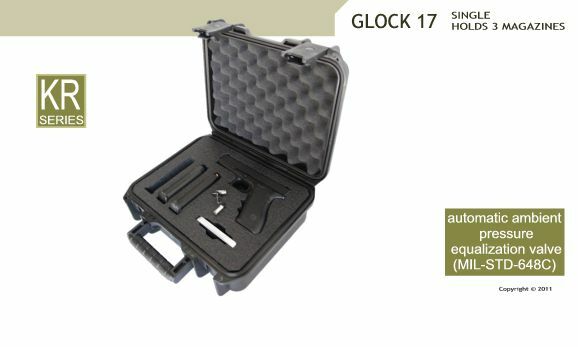 In addition, it is ATA rated and it also comes with a trigger release latch system and an ergonomic snap-down rubber over molded cushion grip handle.